This time, there were again two different field trips for the kids, depending on their ages. 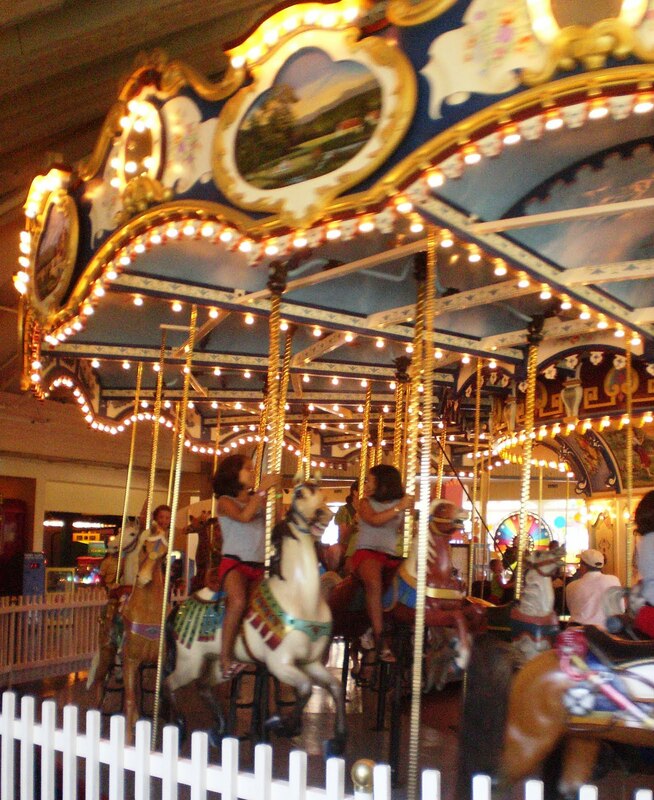 The older kids (grades 4-6) spent the day at the lake, and the younger kids (K-3) went to Giggleberry Fair, in Bucks County. I would have been cranky and bored if I was stuck at the lake, so I made it a point to request the other trip 3 days in advance. I was fortunate to be granted that request. 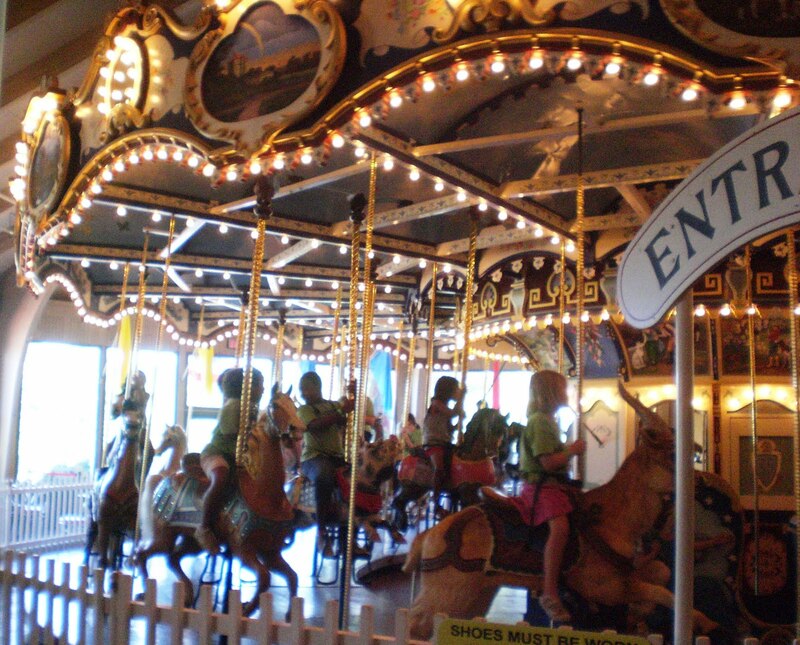 When I read about Giggleberry online, it seemed an awful lot like FunPlex, but I was okay with that (and expected that the kids would be, too). However, it ended up being pretty different. The only truly weird thing about it was the fact that it should have been a 20-minute drive, and we took like 40, going the long way. It was later pointed out to me that perhaps the buses can't take the covered bridge into New Hope, and I guess that makes sense, LoL. 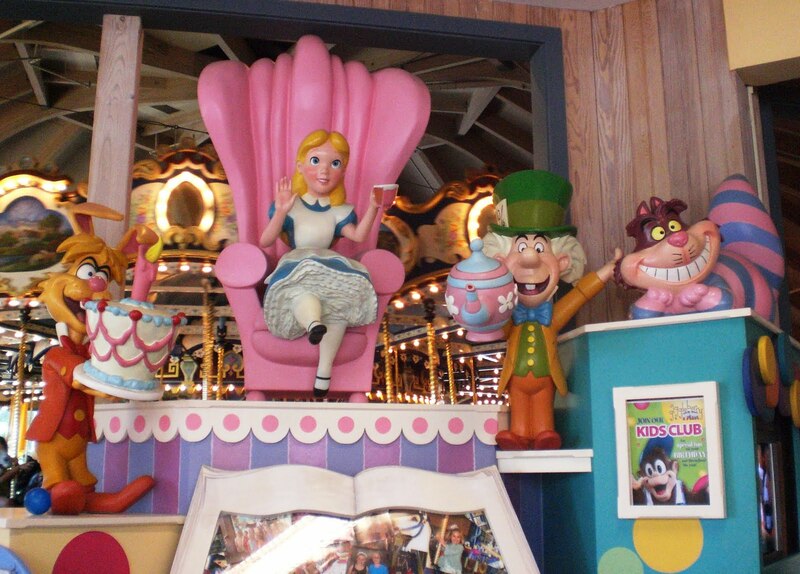 When you first walk in there's a lovely Alice in Wonderland scene, but that theme doesn't appear anywhere else, so I'm not sure why it's there at all, LoL. 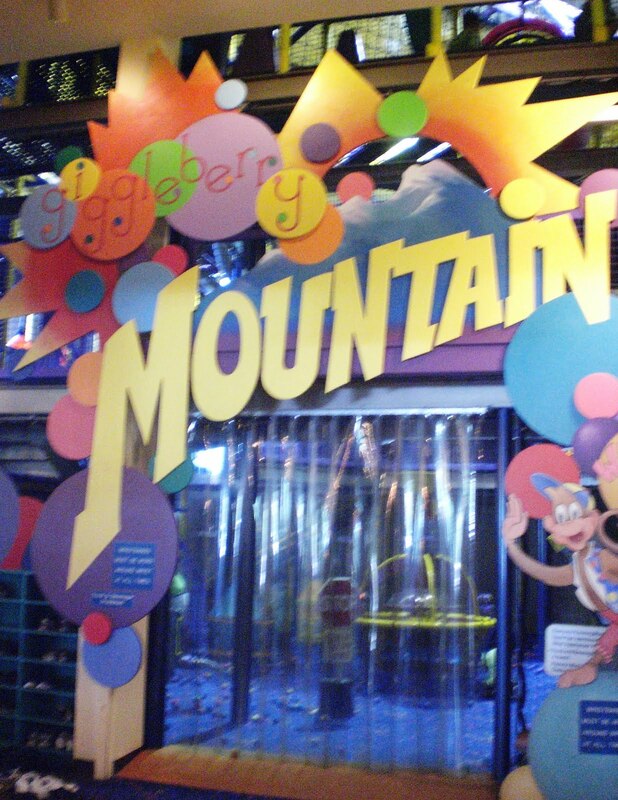 Rather than the high-profile entertainment features like go-karts and bumper cars and laser tag, Giggleberry features three major attractions, in addition to a reasonably-sized arcade. The first is an indoor carousel, three animals deep. 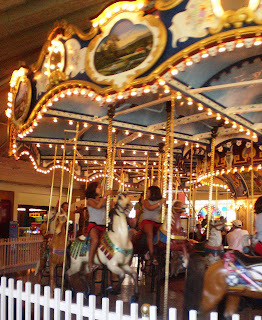 I probably rode it five times, and it was fun. No really annoying music, which I liked because sometimes the sounds of a merry-go-round get old pretty fast and you're stuck hearing them forever if you're nearby, LoL. The kids liked it, especially the non-horse animals like the rabbits, pigs, lion, rooster, and cat. The second attraction is a discovery room, kinda geared toward younger children. There's a lot in there, really. You can dress up like a firefighter and play on a firetruck and in a firehouse. You can touch a color wall and create a wave. You can use puppets or drums or a water table that has a bunch of different things to do. The most surprising feature was another one of those foam-ball-machine-pits that I tried to describe from FunPlex. Maybe they're the hit new thing with kids, and I just haven't been to a Chuck E. Cheese or something similar in like seven years, LoL. 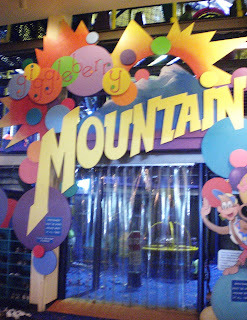 Here, it's called Giggleberry Mountain, and in addition to the two levels of foam-blasting madness, there's a six-level obstacle course circling it. There are all kinds of different things to climb over, under, through, etc. I gave it a try, heading for the very top where you can take a giant tunnel slide to the bottom. I'm just about as big of a person as can fit through many of the small openings (which is good to know, since the signs suggest that parents accompany children). I tried to take the routes that didn't require crawling, as squatting down without being able to stand upright for half an hour is difficult enough. 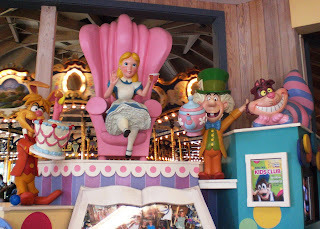 I finally found my way to the tippy top, and there were a bunch of our kids there, in line to go down the slide. I let them all go in front of me, of course (as well as those who arrived after I did), and was shocked when I was finally about to go down and one of the little girls who was there when I arrived had made it all the way back to the top. In less than five minutes. I asked her about it, and she was shocked I didn't know "the shortcut," LoL. Either way, it was a fun slide! I also wanted to brag about their pizza. Not the greatest in the world, but suited the group just fine for lunch. Much better than some other entertainment center pizzas!